As the Minnesota legislature adjourned last week, I was left with mixed feelings of disappointment and hope for Minnesota pesticide legislation. Going into this legislative session PAN and our allies knew that we would be playing a tough game of defense. What we didn’t expect? While legislators had a field day attacking clean water, air, and pipeline protections, we witnessed some key tone shifts for pollinators. We also recognized some old tactics from the industry playbook — and boldly called them out. After a session of legislative back-and-forth, several decisionmakers played their cards in the eleventh hour to market last-minute bills to a legislature hungry for compromise. One example of this was a bill introduced that would remove the sulfide standard needed to grow wild rice in many parts of Northern Minnesota. Under widespread opposition — especially from Native communities that rely on wild rice as a cultural and economic staple — Governor Dayton vetoed the bill. However, it returned under the guise of compromise. The “compromise?” Lawmakers proposed establishing a committee of scientists, tribal members and industry representatives to determine whether “cost-effective treatment technology” can be found. This is a stalling tactic, not a compromise, and the bill would add an unnecessary level of bureaucracy that only shields industry from regulation. Pollinator allies know that Governor Dayton convened a similar committee in 2016 to advise his administration on pollinator protection. Though the committee will likely release helpful recommendations soon, this process has been far from efficient. But we need fast, unhindered action. Earlier in the session, long-time pollinator champion Representative Rick Hansen introduced an amendment that would restrict the use of neonicotinoids in wildlife management areas. While the amendment didn’t accrue enough votes to make the bill, it was a near-even split, with 60 votes for the amendment and only 65 votes against it. Both Republicans and Democrats from greater Minnesota supported the bill. While we haven’t broken through Minnesota’s gridlock, pollinator issues are gaining traction. This shift bodes well for Minnesotans, pollinators, and the concept of representative democracy. It seems legislators are catching onto something we’ve known for a long time: A 2017 poll found that 87% of Minnesotans voters were worried about pollinator declines. On this issue and others, we’ve seen Minnesotans united across party and regional lines. We’re not buying the politics of division. 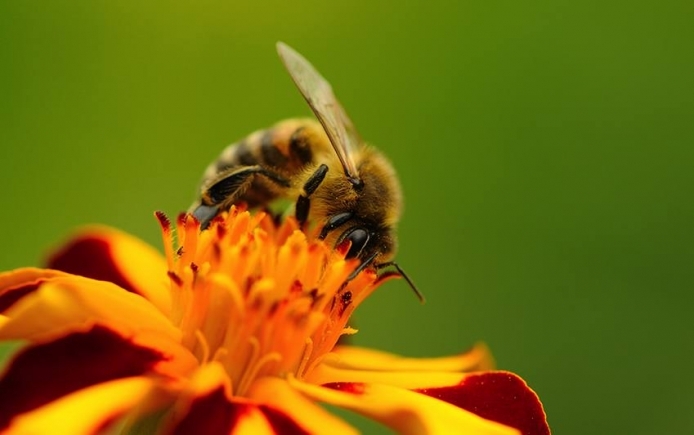 Minnesota is a national leader when it comes to grassroots pollinator advocacy, with more pollinator-friendly municipalities than any other state in the U.S. It only makes sense that elected officials should represent the values of their districts. We’re excited to keep this representation going by lifting pollinator protection into the spotlight during upcoming House elections. Let’s build this thing! As Governor Dayton reaches the end of his second term in office, PAN and partners are grateful that he has worked alongside us to make Minnesota a national leader in pollinator protection. However, pollinators are still declining. Vetoing bills in the next few weeks is important — but it isn’t the end of the Governor’s responsibility. Governor Dayton’s committee for pollinator protection will continue to meet through the end of his term. The expert recommendations generated by the committee will no doubt be helpful in shaping future policy. With the release of the recommendations, Governor Dayton may get his last chance to take legacy action to protect pollinators. The governor may be on his way out of office, but we are confident that he can pass on a strong legacy to his successor. Meanwhile, we’ll continue to build deep networks of resistance, speaking out against policies that divide us. And come next November, we’ll meet the next Governor with a list of things to accomplish, together!